Have you noticed that more and more of your friends are not calling you anymore? And that instead they are texting? Yes, even those 50-plus have fallen into the texting trap. First it started with your kids, and now it has spread to your contemporaries. Texting has now become the preferred communications tool. I’ve sometimes thought that some of my friends text because they just want to look cool. I almost laughed in his face. I couldn’t believe my ears. This wasn’t a kid speaking. And he was dead serious. In the age of the Internet, he was telling me, every minute counts. While he would have loved schmoozing with me, he just didn’t have the time. The Internet has doubled the work and doubled the opportunity for everyone. People don’t want to pass the time of day on the phone. They want short, precise communications. They want to get in and get out. It’s kind of insulting, but it’s the way of the world. If you have a better explanation let me know. Be sure to watch the above video. A very strange dude spells it out for us. Redheads are redheads. We speak our minds! I have spent most of my life as a redhead. 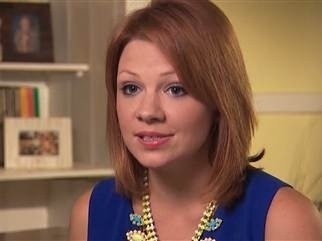 Today, I wanted to tell you about a redhead you probably never heard of, but who made headlines recently because of the remarks she made on her personal blog. Shea Allen is a Huntsville, Alabama investigative reporter for TV station WAAY-31, who lost her job this week because someone ratted her out. There is no wiggle room. Allen found that out the hard way. Her TV bosses cut her loose once they learned about some personal remarks. There were a few no-no’s including her claim to have “gone bra-less” during on-air appearances. For those who want to argue that Allen should have freedom of speech, I say there is no such thing when you are a public figure. See her video defense now on Huffington Post. People follow you everywhere on the Internet. Allen should have known better. Allen posted “Confessions of a Red-Headed Reporter” last Tuesday. Station managers called her to a meeting about the blog on Friday morning to bid her farewell. No discussions, no drama, just goodbye. Here are the 10 career confessions on Shea’s personal blog that got her into trouble. Number six is a doozy. 4. I’ve mastered the ability to contort my body into a position that makes me appear much skinnier in front of the camera than I actually am. Read, Listen, Read, Listen, Read, Listen, Done! Within a year or two, the bonus feature I was hoping for magically appears. Just like that. It’s as if someone up there is listening to me. It’s happened to me a number of times, but today was a biggie. Maybe you already know about this, but I didn’t. For years I have been a member of Audible, a service that allows me to listen to books on my mobile devices. Amazon bought Audible a few years ago. For the last year or two, I have been buying the Audible version of what I want to listen to in addition to the print edition. Call it indulgence, but I like to go back and forth from the audio to the written word and then back again. It all depends on my mood or what I am doing: the treadmill, the couch, the shower, the bed. Lately, I have this sense of urgency to get as many books done as quickly as possible because my “to read” list is getting longer and longer. I don’t want to waste time with one format. I want to listen to the book on airplanes, when I exercise, in the bath, in the car, and when I wait for an appointment. After I listen to the book for an hour, I yearn for print. So I go back and forth. The trouble is finding my last place in print when I leave the audio book. I can spend ten minutes looking for it in the book or on Kindle. 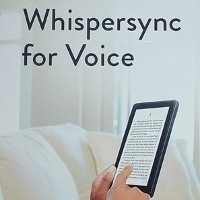 Audible now has a feature called Whispersync for Voice. 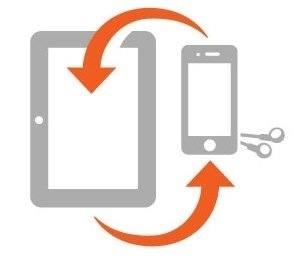 It syncs audiobooks both among devices and with Kindle e-books, whether they are on your Kindle device or Apple and Android Kindle apps. Users can now easily switch between the Audible and Kindle versions of select books without losing their place. When users buy the Kindle version of a book, they receive a discount on the Audible version. Soon we will be able to buy a bundle of the two. 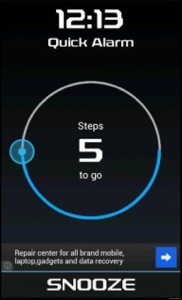 Until then, this is a very exciting development in multi-media reading. Every time I go to the movies, I wonder why I don’t go more often. A lot of people our age, 50-plus, feel Hollywood is not gearing movies for us. That may be true. But every time I go to the movie theater, I see at least two flicks that appeal to me in the coming attractions. Friday we saw Blue Jasmine and The Attack. It was quite a double feature. We loved both. By the time we got home, we were totally wiped out from the powerful character studies. During the coming attractions, I spotted another one coming up. Keri Russell will be starring in Austenland, a romantic comedy about a young gal who is obsessed with Jane Austen. Then I got deluged with movies that appeal to a more mature crowd. I started using Flixster, a movie app that quickly tells me what is playing in my neighborhood (no matter where I am) and what’s in the art houses. 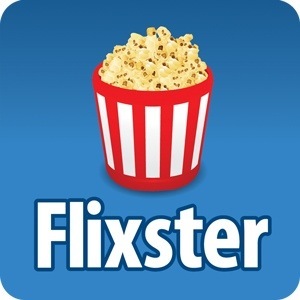 Flixster allows me to tag favorites, plus it shows movie trailers, what movies are coming up, and what titles others are watching. One fast look at Flixster and I already spotted Still Mine, a movie in the Paris Theater across from the Plaza Hotel, about a couple in their twilight years. Then there is Fill the Void and The Way, Way Back. These are all for us. 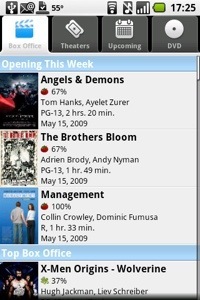 Yes, there will be dry spells at the theater, but at least Flixster keeps us updated all the time. I think as you get older you can really appreciate traveling to far away places more than you did when you were younger. There is something gratifying about going from your world to another world and pretending you lived there your whole life. You try to immerse yourself in the local culture in an attempt to be one of the crowd. Now, Peter Greenberg (no relationship to my pal Steve) reveals a new way to soak in each destination through something he calls as “voluntourism.” Before I get into voluntourism, let me tell you about the source. 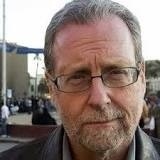 Peter Greenberg is one of the best known travel news journalists. He is Travel Editor for CBS News, appearing on CBS This Morning, CBS Evening News with Scott Pelley, and CBS Sunday Morning. An Emmy Award-winning investigative reporter and producer, Peter was named one of the most influential people in travel by Travel Weekly, along with Al Gore, Bill Marriott, and Richard Branson. Catch him online. Greenberg explains that more and more cruise lines are offering the chance to give back to local communities during your trip. The same thing is going to happen through tour groups and travel sites. Right now you can check out the opportunities through Crystal Cruises, Semester at Sea, and Hope Floats. The participating charities are a few miles away from group destinations. They usually last four hours. You might question why you would ever spend valuable time during a vacation on volunteer work. The answer is pretty simple. You meet some of the most interesting people in the world when you least expect it. Let’s all try it once. There have been so many times in my life when I wanted to travel somewhere but the cost of the hotel room killed the deal. There have also been many times when I wanted to pretend I was a tourist in my hometown of Manhattan and stay in the finest hotel. 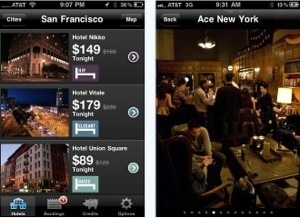 My desires may soon be fulfilled thanks to the app Hotel Tonight. Much to my surprise, lots of my DigiDame readers already know about it, but I wanted to share with others. 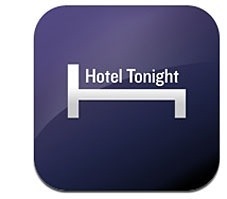 The main purpose of the app is to give you last minute deals on hotel rooms in many cities in the United States as well as Canada, Mexico, the U.K., Ireland, France, Belgium, Germany, Switzerland, the Netherlands, Italy, and Spain. These are rooms that the hotel did not book. The later in the day, the cheaper the rate gets. Eliot and I are free as birds, as are many of you at this age, to come and go as we please. We can decide at five in the afternoon that we want to get a room at The Plaza, The Ritz-Carlton, the Hamptons, the Berkshires, or the Jersey Shore, find fabulous discounted rooms, and go that night. If we were really gutsy, we would actually get on a plane, go to some far-away destination, and find a last-minute room in Paris, Singapore, or Maui, all via Hotel Tonight. 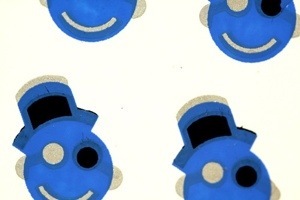 Friends say they love the spontaneity that this app affords them. I know that when Eliot and I do something impulsive we rarely regret it. Hotel Tonight may give a lot of us the impetus to do things outside our comfort zone. Go for it! As we get older, we need to be prepared for any kind of health emergency. We all know that the faster we act, the greater the chance we have for a full recovery. The trouble is that many of us travel a lot, relocate every few years, or are constantly on the road visiting family. We need a better system to help us reach a network of doctors (heart, neck, back, teeth, you name it) at a moment’s notice. No time for recommendations, comparison shopping, or checking out pedigrees. Most doctors today are privy to the same information and have the same formulas to get you well. All you have to do is reach the right doctor to do the best job for you. Prepare now with ZocDoc, a free service and app that allows you to find a nearby in-network doctor or dentist, see their real-time availability, and instantly book an appointment online. The service is available 24/7, allowing patients to book at their convenience. Users can read verified patient reviews and search by health insurance plans to find the appropriate doctor. More than 2.5 million patients each month use ZocDoc, and the service is currently available in more than 1,800 cities, covering 40 percent of the U.S. population. 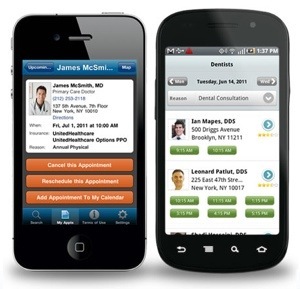 This service is free for patients via ZocDoc.com or the free ZocDoc apps for iPhone and Android. A Spanish-language version called ZocDoc en Español is also available. I recently wrote about the Umano app. That’s the one that has “interesting news read to you by real people.” I know that many of you have not tried it, so I decided to bring it to you firsthand. Below are some of the topics that I thought you would be interested in. All you have to do is click on the links below and sit back and enjoy. I guarantee that you will learn a lot, especially since you probably never would have read these stories in the first place. Who’s Richer: Hollywood Or Silicon Valley?